Database applications are essentially programs that enter and retrieve information from a computer-managed database; your business may have databases full of customer information, fleet data or inventory lists. And while much of this is already stored in various platforms, such as your fleet tracking software, being able to pull it from one database app is more convenient and efficient. While there are many out-of-the-box options, a do-it-yourself database app can help you organize your business’ data and simplify your management processes in a way that is designed just for you and your business. If you have standard database needs, it’s easy to purchase a basic program out of the box and be satisfied with its functionality. However, if you have unique needs specific to your organization, a standard program just won’t cut it. – Instead of trying to modify an existing database program to fulfill your business’s needs, you can avoid those limitations by creating your own database application. – Creating a database app for your business can help you manage processes more efficiently. Rather than emailing spreadsheets back and forth between employees, you can keep all your information in one place that can be accessed by multiple users whenever they need it. No matter what kind of business you run, you can build a database application to manage many of your simple processes. DIY databases allow you to enter exact data that you need and to generate reports, charts, and other output from that data. 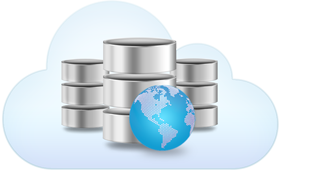 There are a number of database building platforms available to your business on the web. If you choose to use a cloud-based database provider, be aware that there is a chance the provider itself may or may not be around in the long term. For this reason, being aware of the viability of your database provider, and the years of experience it has is very important. This holds true for other cloud based products as well (see whitepaper on how to select a SaaS vendor). You also want to be sure that you can easily export data from the database. – Once you build your database application, you need to monitor its functionality to make sure it is running correctly and make configuration adjustments as needed. – Protect your business and your information from server failure and provider insolvency by regularly creating a back-up of your cloud-based application and data to be stored offline. Many small businesses inefficiently manage their processes by emailing spreadsheets around the office, which can cause confusion and disorder through lack of organization. There are many online providers that can walk you through the process of creating your database and managing it proficiently. Utilize the flexibility of a do-it-yourself database app to keep your information organized, easy to access, and easy for multiple persons to edit. Megan Webb-Morgan is a web content writer for ResourceNation.com. She writes about small business, focusing on topics such as business software.